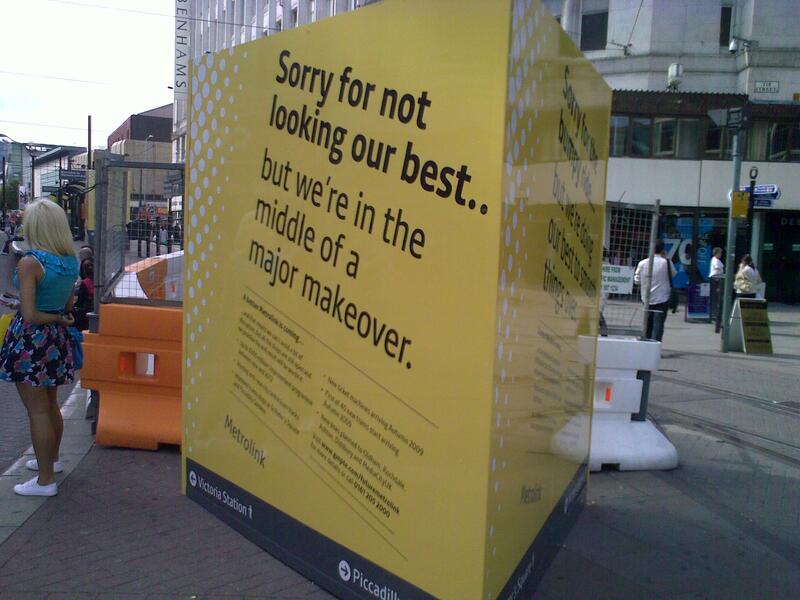 If you live in Manchester you will be aware of the lack of our humble trams in the city centre recently. Multi million pound Metrolink investments have seen trams venturing no further than Manchester Victoria and St. Peter’s Square. These improvements alongside the ongoing and planned expansions to the Metrolink network will see Manchester’s public transport on the up… despite all the congestion charge kerfuffle last year. 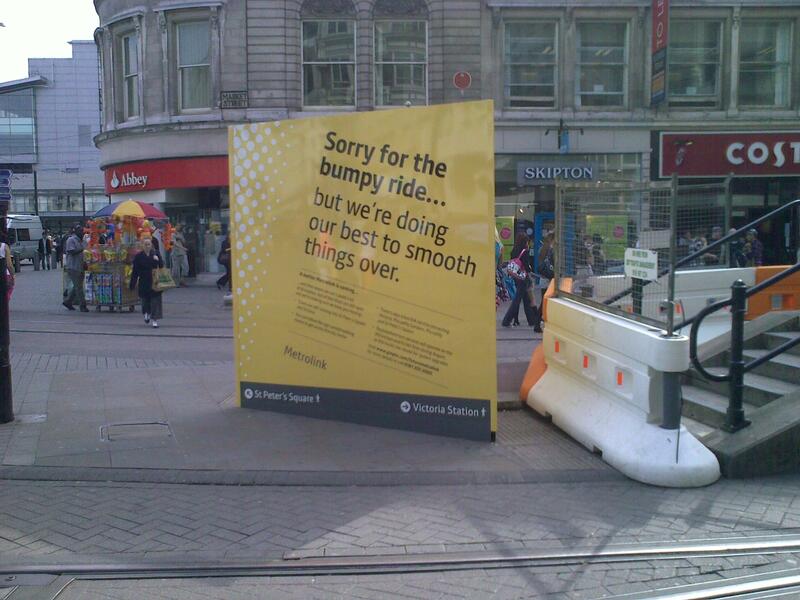 With the sun shining this week (yes it really is true… in Manchester would you believe) here’s the sunshine yellow rebrand for Metrolink c/o (the Northern Quarter’s very own) Hemisphere Design and Marketing Consultants Limited. So the future’s bright, the future’s yellow… forget Liverpool’s Super Lamb Banana because Manchester’s going to have Super Tram Bananas.